We have two new pets, and we don’t have to take care of them. 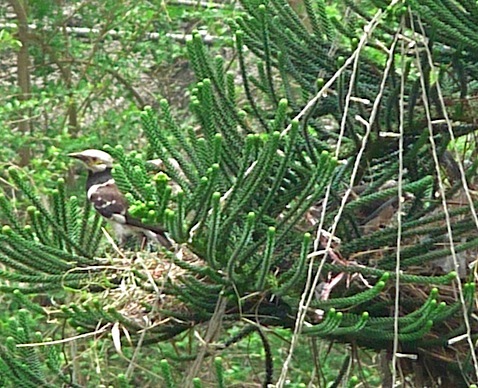 Two black-collared starlings have made a nest on a cypress tree 50 feet from our flat windows. That cypress tree is used as the estate Christmas tree in the winter. They are busy sprucing up their love nest for their new chicks. We can’t wait to see the chicks. 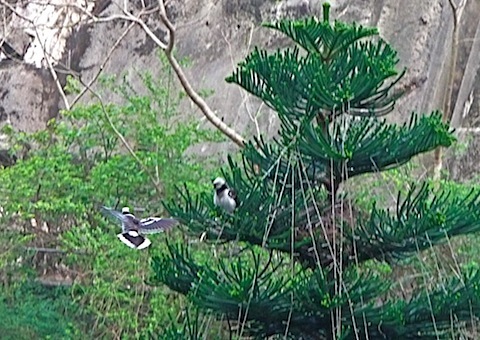 One of the pair seems to be scolding the other: ” You were out all day. Where is the blue twig you promised me?” The unfortunate one turns his (her) back to the scolder. 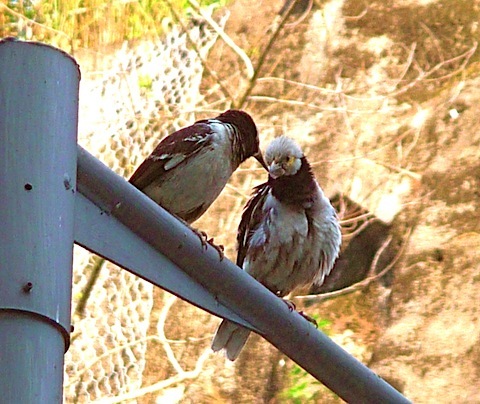 At other times, they perch on a lamp post and act really lovie dovie. Love is great, isn’t it? Posted by Robert Wu on Friday, May 22, 2009, at 1:46 am. Filed under Uncategorized. Follow any responses to this post with its comments RSS feed. You can post a comment, but trackbacks are closed.